Light & Darkness Radio: Featured Today! "Serenity, Threshold..."
Having a blasting Friday Nite? no? then come and get a blast of L&D! Don't forget to send your requests because your requests makes this posts possible and I want to thank you all for the awesome support! Here's the Featured bands! 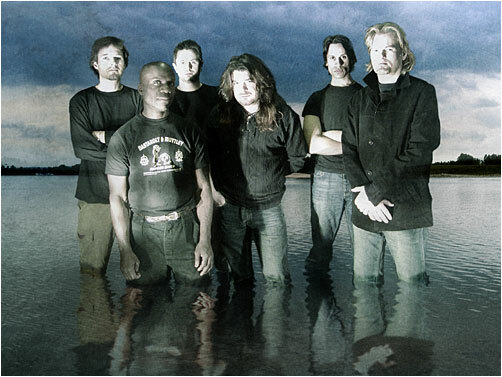 Serenity (AT) - SERENITY's professional history has its beginning in 2004 in Tyrol/Austria when a stable lineup was found which consisted of Georg Neuhauser (lead vocals), Thomas Buchberger (lead & rhythm guitars), Simon Holzknecht (bass), Mario Hirzinger (keys, vocals) and Andreas Schipflinger (drums, vocals). This line up brought some subtle musical changes. Besides introducing a new lead voice the songs were now based on a more 'metal' riffing, yet a high demand on melodies, orchestral parts and arrangements for several voices surely remained. 'New' SERENITY's crucial test took place on 2nd of August 2004 when they successfully supported Ronnie James DIOfacing an unbelievable raging crowd. This first proof of the band's good work was followed by other strong gigs which finally granted SERENITY the approving respect by the local metal scene. In the meantime they had begun to produce the new demo 'Engraved Within' on their own. After being mixed by Jan Vacik at Dreamscape Studios in Munich/Germany'Engraved Within' was released in spring 2005 and received outstanding reviews all over Europe, among them 'Demo of the month' in german Rock Hard and Metal Hammer magazines. Although some labels were interested to work with the band, they decided to produce a self-financed full-length album which would increase the chances for a more valuable deal including touring activities. 'Words Untold & Dreams Unlived' can be called an all-over european project, for it was recorded at Dreamscape Studios/Munich as well as at home in Austria, mixed and mastered at Finnvox Studios/Helsinki, orchestral parts were produced by Hans Valter in Czech Republic and the whole artwork was done by Seth-Design in Athens/Greece. This token of self-confidence and a strong will caught the attention of Austrian based Napalm Records. After fruitful negotiations a deal was signed on December 1st, 2006. The album was finally released on April 27th in Europe and on May 8th in North America, followed by releases in Russia, Japan and south-eastern Asia. In 2007 the band had been on the road with MORGANA LEFAY and SACRED STEEL(March), THRESHOLD, MACHINE MEN and COMMUNIC (September) and KAMELOTand ADAGIO September/October). On these tours SERENITY travelled ten european countries and gained a bunch of new fans and friends all over Europe. Expectations concerning the follow-up album increased. Once again the band gathered a strong team around them, including Oliver Philipps(EVERON/orchestral production), Lanvall (EDENBRIDGE/vocal recordings), Jacob Hansen (mix and mastering), Gustavo Sazes (artwork) and Jan Vacik (drum & bass recordings, arranging and editing) who in the meantime has become some kind of 'mentor' for SERENITY. Guitars, keys & some backing vocals were recorded by Thomas & Mario in their home studios. The production started in December 2007 at Dreamscape Studios and was finished in April 2008, the album was entitled 'Fallen Sanctuary' and hit stores on the 29th of August in Europe and on the 9th of September in the USA/Canada. It also got released in Japan by Soundholic records. In spring 2009 SERENITY supported KAMELOT at their 'Rule The World Tour 2009'. In same year's autumn the band was on tour again with long time friends EDENBRIDGEfrom Austria and some weeks later as a special guest on THRESHOLD's "Essence Of Progression"-tour 2009. After these live shows the band concentrated on a new release entitled "Death & Legacy" scheduled to be out on the 25th of February 2011. Again they chose Oliver Philipps to do the orchestra production, album mix was done by Jan Vacik this time. Sad news in the end of August 2010 said that bass player Simon Holzknecht would leave the band due to several personal reasons. Only a short time later SERENITYcould welcome Fabio D'Amore (PATHOSRAY, FAIRYLAND, SYRAYDE) as the new guy in this position. The new album "Death & Legacy" was released on February 25th 2011!!! New touring activities including headlining shows in Austria and support shows to DELAIN all over Europe will take place in 2011. 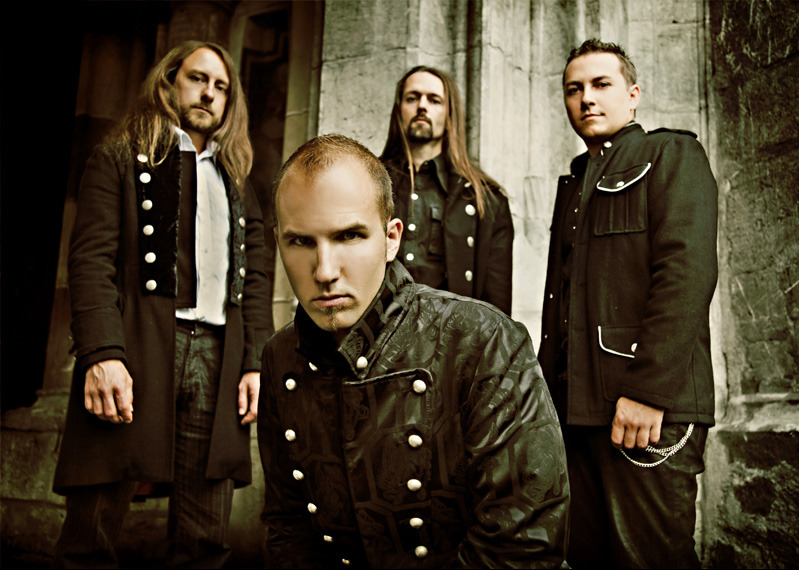 Threshold (UK) - Threshold are one of the leading lights of the progressive metal scene. Now celebrating twenty years together, Threshold continue to make powerful and innovative rock music both on record and on stage. Threshold's single Pilot In The Sky Of Dreams won the CRS Song Of The Year award and is featured on the 2008 Hollywood soundtrack In The Name Of The King. With their highly aclaimed eighth album Dead Reckoning out now on Nuclear Blast Records, Background magazine strongly proclaims that "the kings of British prog metal are back!" Formed in the south of England in the late 1980s, Threshold combined their influences of heavy metal and progressive rock to craft their own unique sound which was a far cry from the commercial sound of the time. Wounded Land was released on GEP Records in 1993, and was hailed as the year's best debut album of the year. The following five years brought three more albums Psychedelicatessen, Extinct Instinct and Clone, and tours with bands such as Dream Theater, Psychotic Waltz and Pain Of Salvation. Threshold's original vocalist Damian Wilson featured on the first and third albums, while Glynn Morgan took over the role for the second album. By the end of the decade Threshold were signed to Inside Out Music and were fronted by vocalist Andrew McDermott. Two more studio albums Hypothetical and Critical Mass followed, bringing long-awaited chart success for the band. Threshold performed their first US show at the end of 2002 which proved to be the final concert for long-time bassist Jon Jeary. The following year Critical Energy was recorded to document Threshold's live show on DVD for the first time. A new studio albumSubsurface followed, scooping fifteen "Album Of The Month" awards to confirm it as one of the essential rock albums of 2004. The tour that followed marked the farewell of long-time guitarist Nick Midson. Threshold moved to Nuclear Blast Records and released their eighth studio album Dead Reckoning in 2007, bringing further European chart success for the band. Shortly after the release of the album, Threshold's original vocalist Damian Wilson returned for the band's longest run of Threshold shows including numerous festival headline appearances, a European tour supported by Communic, Machine Men and Serenity, and the inaugural Essence Of Progression tour in 2009 supported by Serenity and Spheric Universe Experience. To celebrate Threshold's twenty year anniversary the band released an eight disc collector's box set Paradox (The Singles Collection) at the end of 2009. Threshold are currently recording their ninth studio album due for release through Nuclear Blast Records soon. Nox Aurea (SWE) - Nox Aurea formed in early fall 2005, after guitarists Peter Laustsen. (Rimfrost, Urginnthul) and Grim Vindkall (Domgård, Urginnthul) decided to take their friendly jam sessions a step further. They soon began writing songs together. The material was quite different from both of their earlier musical endeavors, as it was their goal to move in an unexplored direction. Thus, the dark seed of Nox Aurea was sown and the flower of death took hold. In early 2007, Peter and Vindkall completed their line-up with the expertise of bass player Robert Persson, vocalists Patrick Kullberg and Alice Persell, and drummer Joakim Antonsson, Nox Aurea presents an abstract approach to the darker emotions of the human mind and soul and a search that extends beyond the physical world to the realm of Chaos theorists and Gnostics. For Nox Aurea life is not a gift of truth, but a curse of illusions and an offending imprisonment of the higher spirit. Nox Aurea, in Latin "golden night", symbolizes the dark eternity of freedom and chaos. Their name, however, can also be interpreted to mean "nightly gold", reflecting the Luciferian enlightenment. In late summer 2009, Solitude Productions released Nox Aurea's debut album "Via Gnosis". The album received much praise from both fans and media alike, gaining Nox Aurea the needed international attention to move forward. In 2010, the band signed a worldwide recording deal with Napalm Records and completed work on “Ascending in Triumph”.